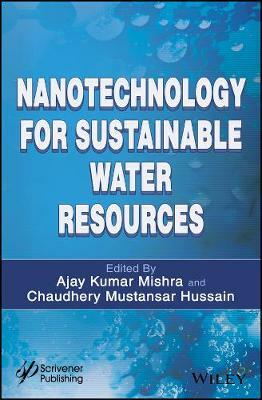 In this book, we have summarized recent progresses due to novel nanomaterials for sustainable water resources. Book provides a summary of the state of the art knowledge to scientists, engineers and policy makers, about recent developments due to nanotechnology for sustainable water resources arena. The advances in sustainable water resources technologies in the context of modern society's interests will be considered preferably which allow to identify grand challenges and directions for future research. The book contributors have been selected from all over the world and the essential functions of the nanotechnologies have presented rather than their anticipated applications. Moreover, up to date knowledge on economy, toxicity and regulation related to nanotechnology are presented in detail. In the end, role of nanotechnology for green and sustainable future has also been briefly debated.